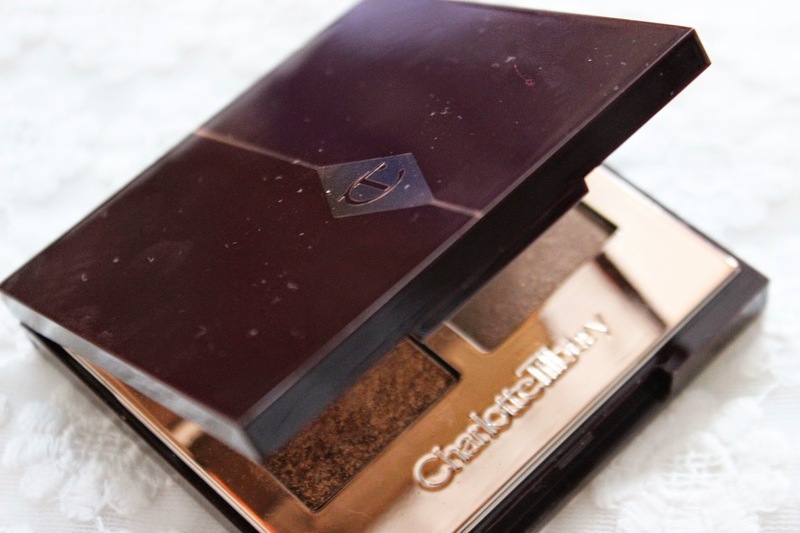 Charlotte Tilbury’s makeup line is enough to make any beauty addict swoon, so when her collection launched last year, the beauty buzz was incredible and with her range now having launched in the US and Ireland too, I thought it was more than appropriate to share my thoughts on The Dolce Vita Luxury Eyeshadow Quad. The luxury colour-coded eyeshadow palette is one of eight quads to choose from, all of which represent a different look. 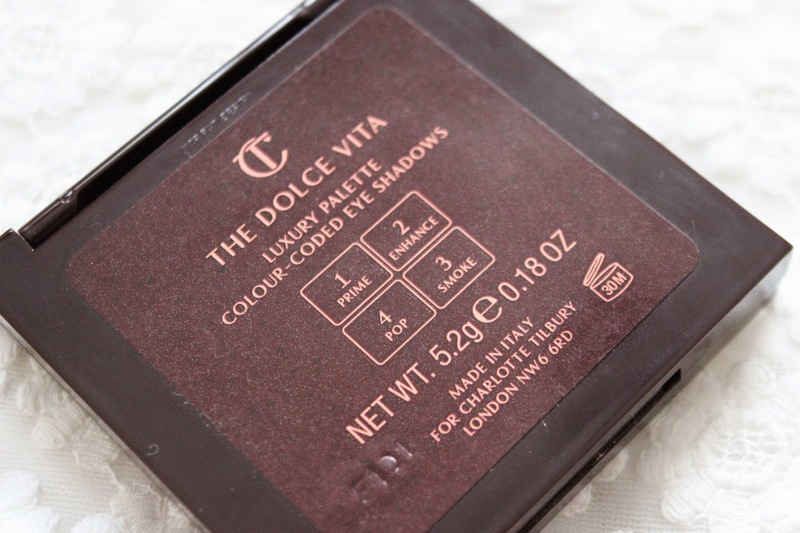 The Dolce Vita Eyeshadow Quad has four shades from subtle shimmers to a beautiful pressed pigment (no matte shades here!). The fall appropriate quad is versatile and offers a “desk, to dusk, to disco” eye colour wardrobe. 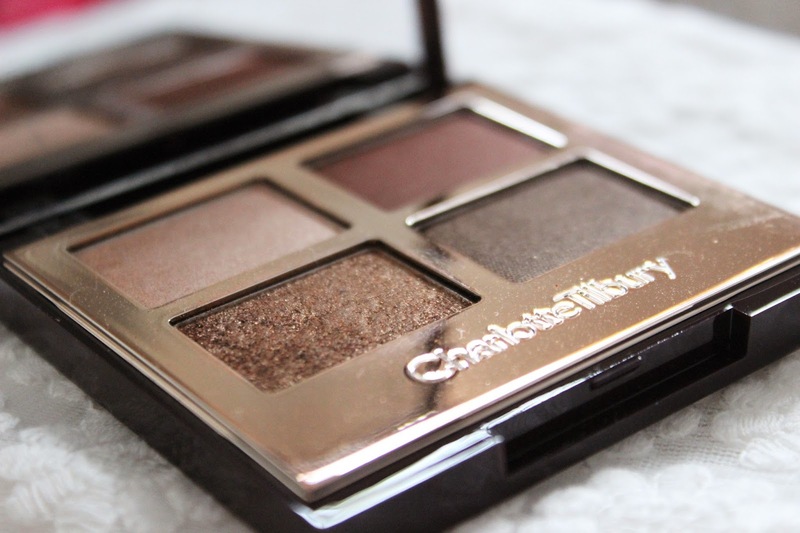 It’s a beautiful palette and being an eyeshadow lover/hoarder/collector/addict, I can’t get enough of it and I’ll be honest, I can defiantly see an expensive makeup habit forming! Now I will start with the packaging and I’ll be honest, I was a little disappointed, as I was surprised to find the casing was plastic. I own the Film Star Bronze & Glow from the Charlotte Tilbury range and the packaging is of a much higher quality. However, the quad is compact, lightweight, doesn't come with those unneeded foam brushes and although plastic, the rose gold detailing and casing is still super pretty! 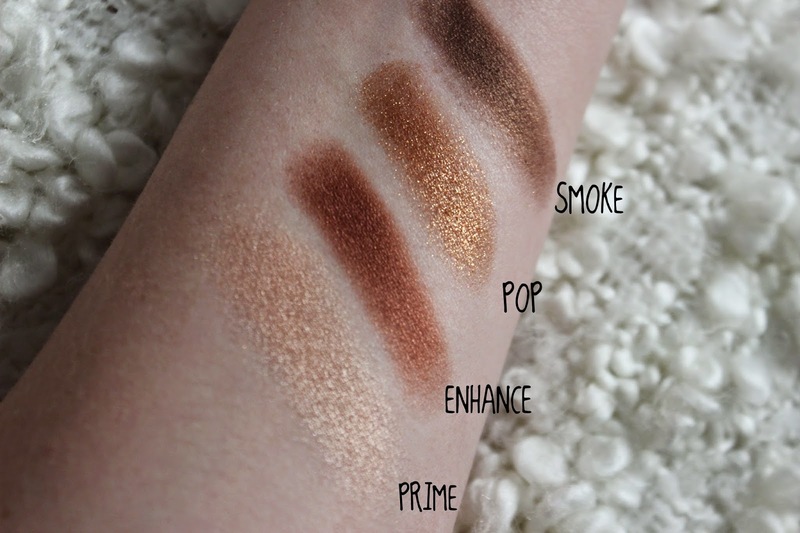 The eyeshadow quad itself is pretty darn beautiful with four shades, one to prime, enhance, smoke and disco. The rich, bronzy, coppery warm hues are pigmented, silky smooth and easy to blend. The quality of the shadows are top notch and you can build up application depending on what type of look you are going for. In terms of wear, when worn with a primer they can last up to 8 hours, but without up to 5. This shadow is slightly metallic and the darkest colour in the quad. The pigmentation isn’t as intense as the enhance shade, but still has good pigmentation. This shade is the game changer, taking your look from “desk to disco”. The pigment doesn’t feel chunky or glittery, it is super creamy and applies beautifully (although it can have a little fallout). I like to pop this shade onto the centre of my lid using my finger, as it is difficult to pick up and apply using a brush. This shadow is rich and intensely pigmented. For me it is this shade that makes this palette close to perfection, I don’t own anything similar and it looks stunning when worn all over the lid. The pigmentation of this shade isn’t as good as the others, but it is buildable and looks very pretty when worn all over the lid and works well as base and brow highlight. The colour and finish reminds me of MAC’s naked lunch, one of my all-time favourite eyeshadows! 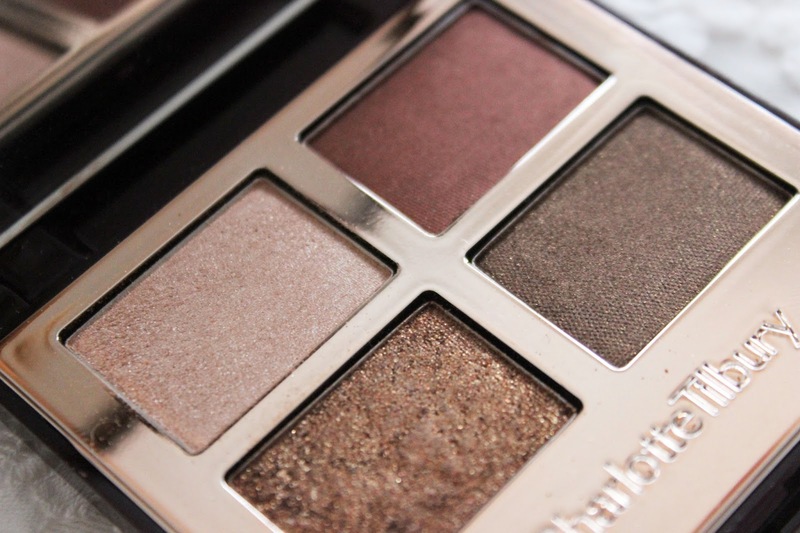 The price-point is high end at £38, which is the same as a Chanel quad (I would rate this palette equal to those). So, do you need it? Well, I wouldn’t say it is a makeup essential! But, it is the perfect palette to make blue eyes pop and just look at it...!